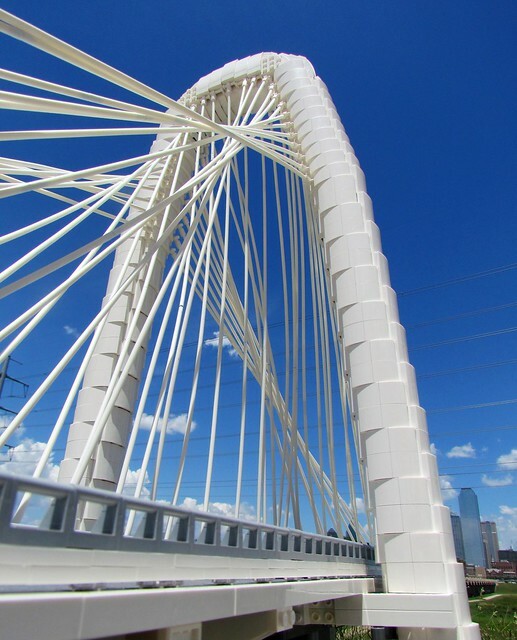 Designed by architect Santiago Calatrava, the Margaret Hunt Hill bridge spans the Trinity river in Dallas, Texas. And that's what I thought I was looking at until I figured out Lia Chan had built a replica out of LEGO. I suppose it was due to the tricky ground-level angles of the photos, in addition to the dizzying array of white flex tubes. Impressive! 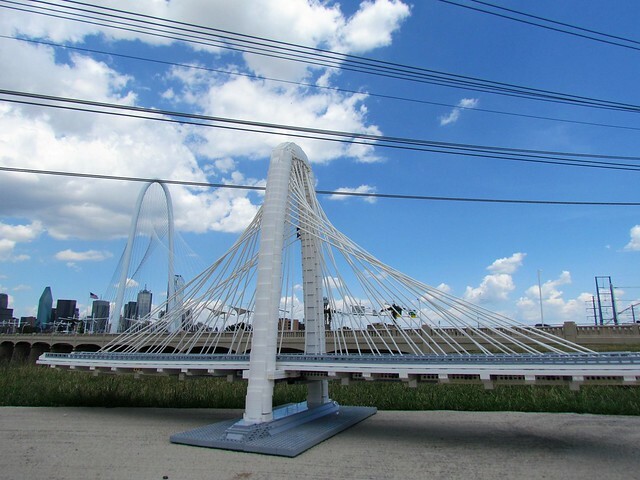 LEGO, Architecture, bridge, Dallas, Who shot JR?